Home Articles How to Improve Your English? If you are intended to improve your English but have not been successful as much as you like, you can rely on the information in this article. First of all, you need to be exposed to English adequately. It means that you should practice listening to this language very much. Remember that it requires a lot of patience and practice to be able to crack the code and understand what is being said to you. At the time of listening, also pay attention to nonverbal communication hints, such as facial expressions, body language, etc. If you are just a beginner, it’s better to start from listening to fairy tales or stories for children because they have lots of short and simple sentences. Remember that in listening, you do not need to know all the words or phrases. On many occasions, you are supposed to get the main message even through predicting the meaning of unknown words with the help of the following and preceding words and phrases. In terms of speaking, it’s better not to have very high expectations of yourself to speak like a native speaker. Remember that you should make a lot of mistakes and errors before being able to speak fluently and accurately. One way to practice speaking is to form friendly groups in which you can have conversations and interactions with each other, and play some roles in English. Furthermore, it’s important to be flexible at speech. That is, if you don’t know some words or phrases, it doesn’t necessarily mean that you cannot express your ideas, either. With some self-confidence, you can use some other words and phrases to explain about what is in your mind to be conveyed. When it comes to reading, first of all, you should accustom your eyes to moving on lines of texts and passages. Reading novels and stories for the sake of improving your speed and extensive reading is definitely a good idea. However, to become a good reader, you must have a reliable word knowledge together with the competence to guess the meaning of unseen words in the context. You can first start from texts that you are more interested in or you have at least some information about. Then little by little, you should expand your range of texts. Don’t forget to be critical, reflective, active and responsive at the time of reading. In other words, when you read something, sometimes it is necessary to put yourself in the writer’s shoes to be able to predict what he/she is about to convey. In addition, taking notes, underlying, highlighting, summarising and paraphrasing can help you very much to become a better reader. With the intention of writing more academically and effectively, you ought to increase your grammar and vocabulary knowledge. Then with a critical, logical, focused and unified approach to a subject, you should first create an outline or skeleton of your writing, and then give spirit to the body of your product by organising, re-organising and revising your final draft. Remember that to practice writing, you need to practice something more that language, that is, wisdom, logic and organisation, which are all beyond your language proficiency. Writing personal diaries and memories can help you so much to become a more proficient writer. Recently a lot of attention has been given to the integration of the four skills: listening, speaking, reading and writing. Skill integration refers to practicing the four skills in the most natural and simultaneous manner. For instance, when you see a good film with subtitles, you practice both listening and reading concurrently. Then when you have a conversation after the film and write an essay on the discussed themes or challenging plots and aspects of the film, you can practice all of the four skills effectively and in an interrelated manner. Furthermore, attending some conferences in which you can listen to the other participants, read their handouts, take turns at speech, and also take notes appears to be another ideal way to cover all of the four skills simultaneously. Since English is an international language, it has borrowed hundreds of words from other languages. That’s why this language is so rich in the number of words it has. As a result, an English learner is supposed to learn a lot of words in English. However, let it not discourage you as you do not need to learn all of the English words. Instead, you can give priority to the most frequently used words and phrases in English. A good technique is to use a special notebook for new vocabulary. By adding new words to your notebook and reviewing them again and again, you will be able to master a lot of words effectively. With the help of this technique, you will develop the habit of learning new words every day. After a while, you will notice that you can use many of your newly learnt words in your daily conversations with your friends and other people. Enriching your word knowledge with the help of antonyms, synonyms, parts of speech, word categories, illustrations, associations and etymology or origins of words is strongly recommended. Although it may seem to be rather time-consuming at first, it’s definitely worth all the hard work because, in so doing, you can expand the number of your words tremendously. Spend at least 30 minutes each day learning new English words. Practice your listening skill by watching movies, listening to the news, songs, soap operas, documentaries, TV shows, and the like. Apart from your course books, choose an English novel or story just for pleasure and read at least a couple of pages to practice extensive reading and have fun. Among your friends, form a group in which you could have English nicknames, for instance, Henry, Max, Betty, July, etc. Then in your group, practice speaking English every day as if you did not know any other languages. In your group, you can also write essays on interesting subjects and then exchange your compositions with each other. You can practice both reading and writing together with a following discussion. 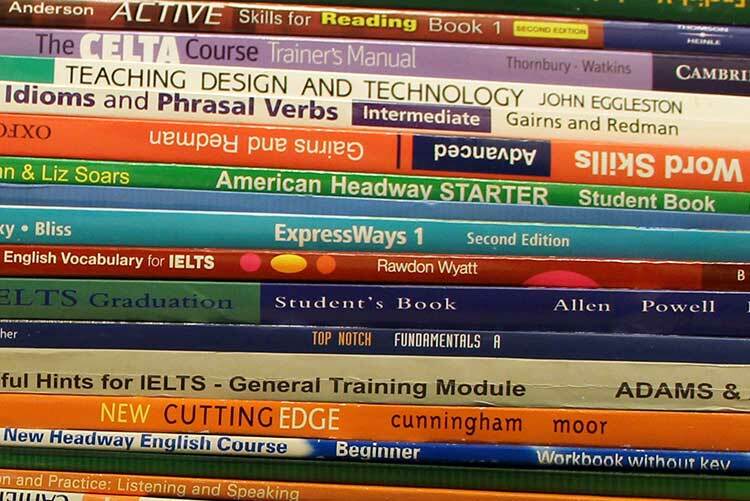 In early stages of your learning, it’s important to study a grammar course book, preferably with answer keys and explanations at the end of the book if you are not instructed by any English teacher.